Ryan Betts, Cloud Solutions Architect: FIM 2010 R2 SP1: Creating Management Agents to Active Directory Forest fails with "failed-connection Error Server Down Error Code 0x51"
FIM 2010 R2 SP1: Creating Management Agents to Active Directory Forest fails with "failed-connection Error Server Down Error Code 0x51"
When you try to create a new Management Agent from Forefront Identity Manager (FIM) 2010 R2 you get the error "failed-connection Error Server Down Error Code 0x51". This error was basically stupid of me and down to name resolution between the two domains. 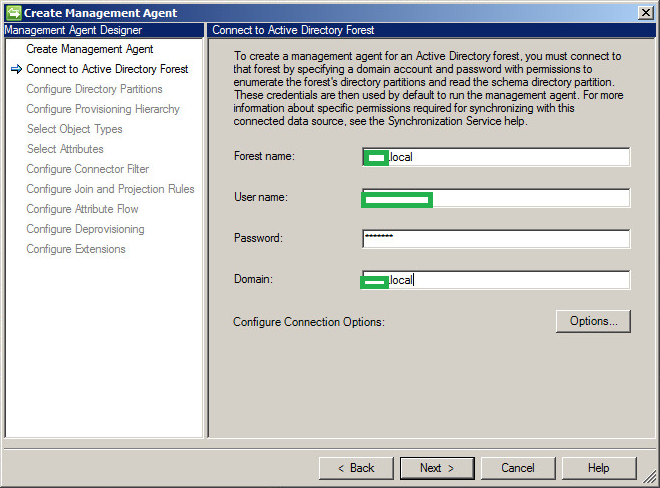 The FIM server was in the new 2012 R2 Active Directory and it could not resolve DNS names in the forest I was trying to configure FIM to query. 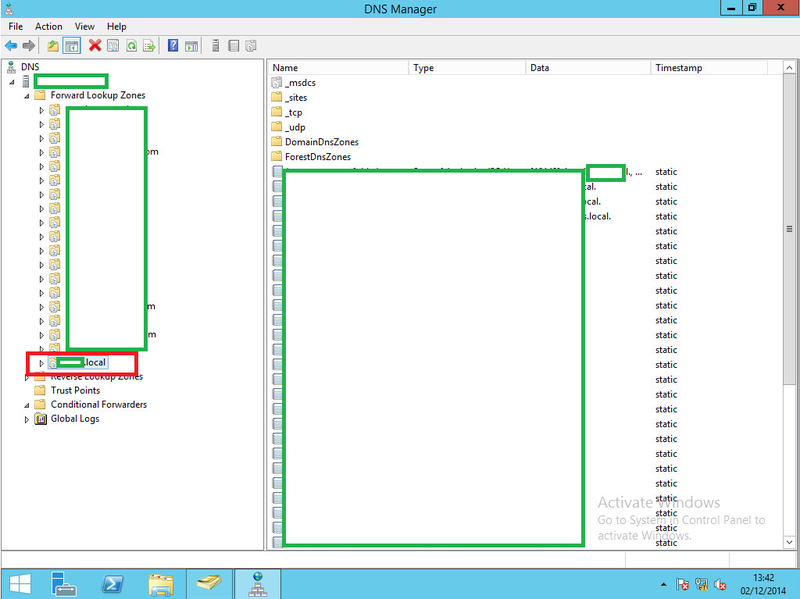 The fix was to enable Zone Transfers (in this case to To Any Server), on the source Active Directory DNS server. 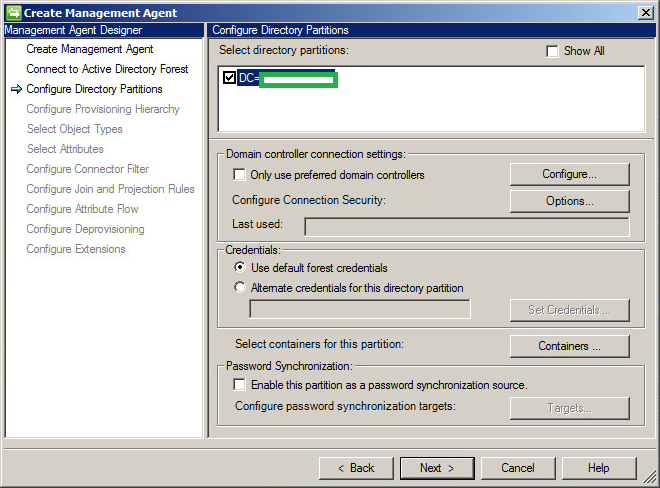 From the new Active Directory DNS server I then created a new Active Directory Secondary Zone, which I pointed to the IP of a known Domain Controller in the source AD. Because I configured Zone Transfers the Secondary Zone was immediately populated. From the FIM server I flushed the DNS cache and click Next again. 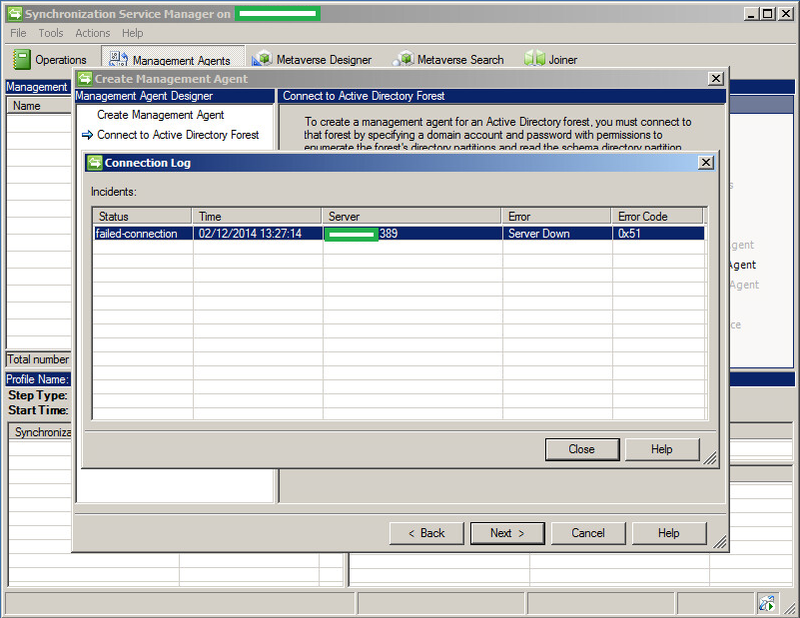 I could then continue creating the Management Agent.